For those of us who tend to skip breakfast to reach office on time, ‘The First Meal’, is the go-to option. It just took a phone call for Yuv Raj to come up with The First Meal, a website that delivers breakfast. “My roommate’s mother called me up to complain that he was skipping his breakfast – the most important meal of the day. 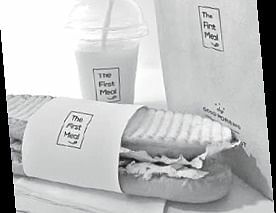 This triggered the idea of starting a food delivery service,” recalls the 25-year-old. Though the idea of delivering food online is being used by quite a few start-ups, Yuv Raj stresses that none of them deliver breakfast online. This was his USP and he was sure that the idea would click. He brought together his colleagues from his previous start-up -- Saswata De, Suraj Subedi, Ravi Varma, Sathvik P, Joginder T -- to make his dream come true. “The purpose behind The First Meal is to encourage every person to spare at least five minutes for their breakfast,” he explains. It does not matter if breakfast for you means stuffed parathas or idlis or even salad – The First Meal has it all. From South Indian and North Indian cuisines to fresh fruits, fresh vegetable salads and even fresh-fruit juices – it caters to people from all regions of the country residing in the city. One can subscribe to their meals for a week, two weeks or a month and avail some discounts too. You can also select the time at which you want your breakfast to be delivered. “While south Indian meal will have dishes like podi idli, pongal, bisi bele bhaat, the north Indian will have poha, paratha, sandwich, etc. We serve special brunch during weekends which contain food like thai green curry,” informs Yuv Raj. To keep the nutrition quotient of food intact, The First Meal also has a nutritionists on board. “The meal is designed in such a way that it covers up for the nutrition requirement for the entire day,” the former Vellore Institute of technology graduate adds. 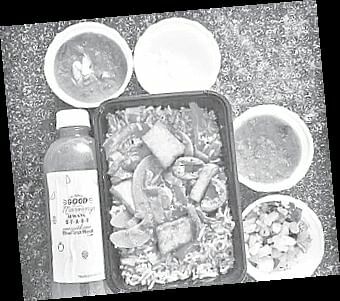 Further, the a unique packaging system, makes its easy for people to carry the food. “We did not want consumers to waste time transferring food to another container if they want to warm it up or carry it off. The packaging is microwave safe and can be had on the go. For example, one can sip juice even when they are on their way to office,” Yuv Raj says. While the website only focuses on delivering food, they take help of the restaurants nearby to prepare it for them. “As our requirements are very specific, they cook the meal according to the food chart we provide them,” he says. The six-month-old start-up will start catering to denizens in other parts of the city by next month.